We have considerable experience of acting for many children who have suffered the devastating complications of brain injury, either during or shortly after childbirth. We have also acted for children who have suffered Erb’s palsy. It is important that medical negligence cases are investigated thoroughly and that the best experts are involved from the outset. Investigating whether there has been fault and then the value of child birth injury cases is a complex exercise and careful consideration must be given to the child’s current and future needs, including medical treatment, care, equipment (including assistive technology), accommodation and education. This is vital in order to ensure that correct financial provision is made for the child for life. Our clients have the added benefit of reference to our private client team at Clarke Willmott which has specific experience of dealing with large sums of compensation for minor children or adults lacking capacity – this includes investment advice, court of protection deputyships and trusts. Cerebral palsy is a condition that may affect a person’s co-ordination, movement, motor-skills and cognitive abilities. It is caused by abnormal brain development or a brain injury that occurs during pregnancy, labour or childbirth. This is one of the most devastating and highly litigated areas in birth injury claims. A child born with cerebral palsy will have lifelong care needs and the impact of their needs upon the parents will be life changing. Cerebral palsy is not always the result of birth injury and not always the result of clinical negligence. Sometimes there is no clear cause for the condition and it is often attributed to an unpredictable event during the antenatal period. Sometimes, cerebral palsy can be the result of oxygen starvation during labour and birth or due to complications in the early neonatal period such as hypoglycaemia, hypocalcaemia or untreated severe jaundice (hyperbilirubinaemia and kernicterus). Not all cases of oxygen starvation will be negligent but there are times where the medical team may have failed to respond to signs of a distressed baby and failed to ensure prompt delivery. Cerebral palsy claims are notoriously complex and often strongly defended as they are often very valuable claims. 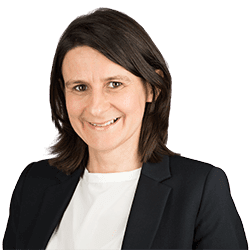 It is crucial that you instruct a solicitor who has experience of cerebral palsy claims as they take a very long time to investigate, not least because the most experienced experts have huge waiting lists. They also take a long time to value and it will be necessary for the child to be visited and examined by suitable experts to assess their condition, prognosis and needs. Erb’s palsy is a condition where the baby suffers partial or sometimes complete injury to the brachial plexus nerve complex. A complete injury to the brachial plexus results in a flail (or useless) arm. This injury can occur when the baby’s shoulder becomes stuck behind the mother’s pelvic bone during delivery. This is a condition known as “shoulder dystocia”. Injury to the brachial plexus is almost always avoidable with appropriate recognition of shoulder dystocia and appropriate delivery technique. There are clear practices and protocols for delivery which should be followed in cases of shoulder dystocia. Clarke Willmott is one of the few firms able to obtain Legal Aid funding in cases where a baby has suffered a brain injury at or around the time of birth. If you are considering making a birth injury claim, always ask a solicitor if they are Legal Aid contract holders, a genuine mark of expertise. You should also ensure that your solicitor is an accredited member of The Law Society, AvMA or APIL specialist Clinical Negligence panels. If you need legal advice about making a cerebral or erb’s palsy medical negligence claim call us now on 0800 316 8892 or contact us online.